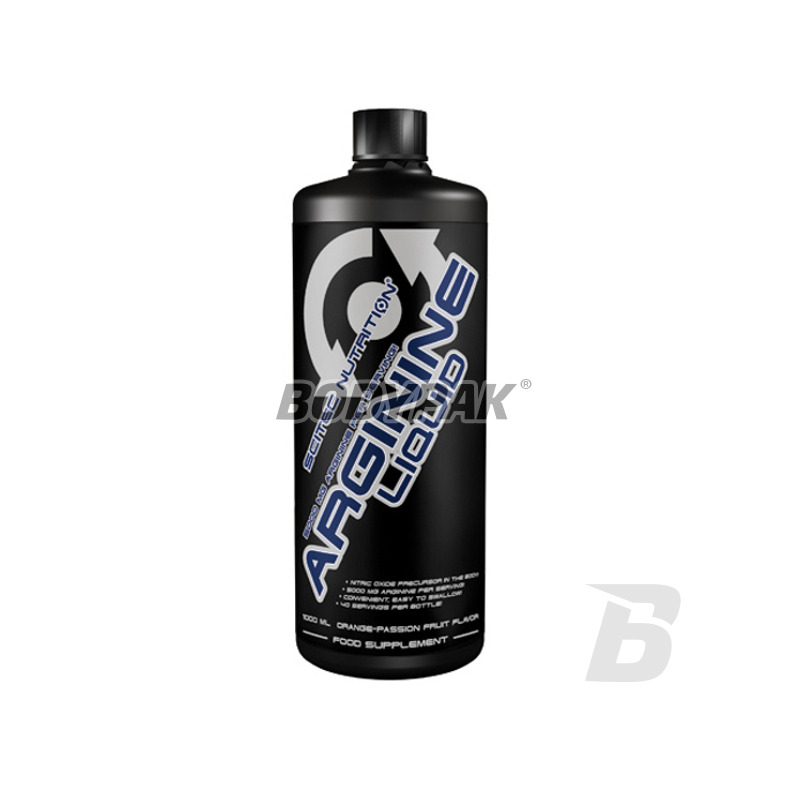 The most concentrated and quickly digestible market arginine liquid increasing aerobic capacity and muscle pump. Bet on the quality! EFFECTIVELY INCREASE NUMBER OF NITROGEN OXIDE TO ENSURE SUCCESSFUL TRAINING, BLOOD FLOW AND MAXIMUM AMOUNT OF OXYGEN! INCREASES EFFICIENCY OF WORK AND INCREASES EFFICIENCY SEXUAL! 40 SERVING IN A BOTTLE! 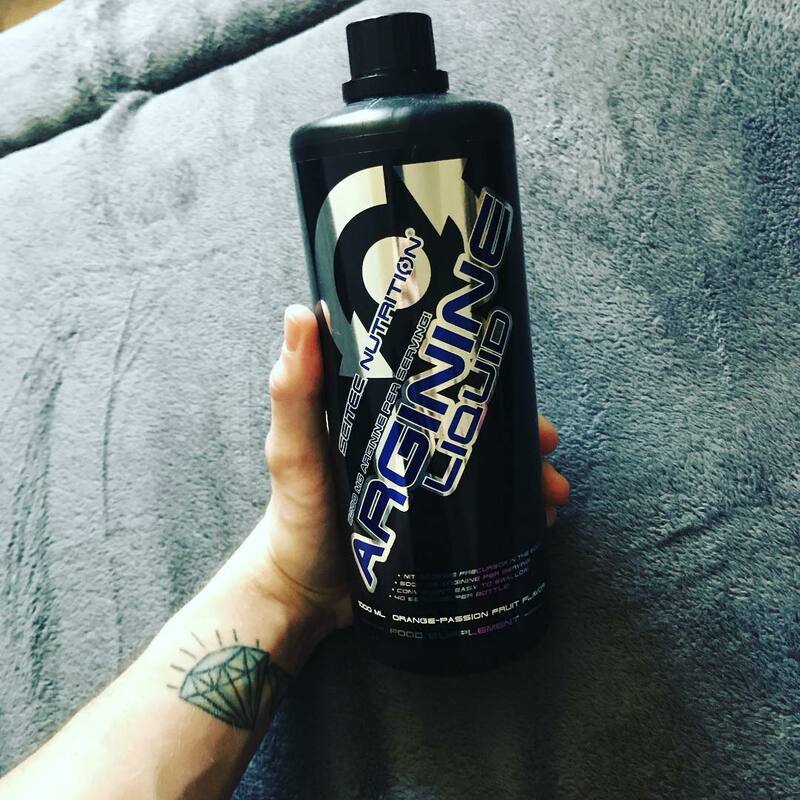 Scitec Liquid Arginine increases nitric oxide, which is a precursor of nitric oxide dilates blood vessels and thereby increases efficiency of training, increases the flow of blood and can also increase the amount of oxygen delivered to the heart and other muscles. L-arginine is a conditionally essential amino acid, which means that in normal conditions the human body can be synthesized in order to cover their needs. In the case of poor nutrition or strenuous exercise biosynthetic pathway can not produce sufficient amounts of Arginine, therefore, who should not consume it through diet or supplements. As a precursor to nitric oxide (NO) and an important precursor to Creatine, Arginine supplementation is a common practice among athletes, bodybuilders. 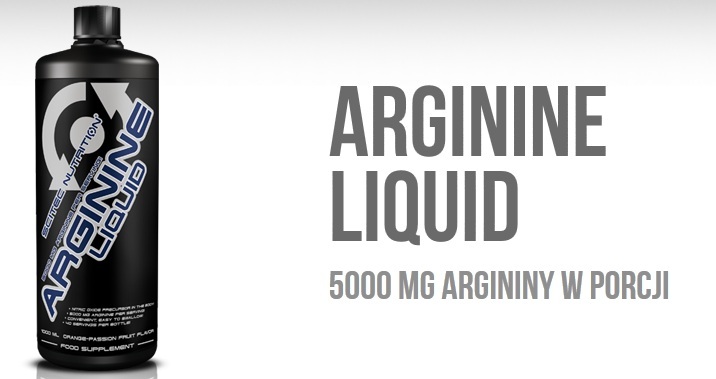 Taking a liquid formulation in an easy and convenient way to cover potentially increased demand Arginine. 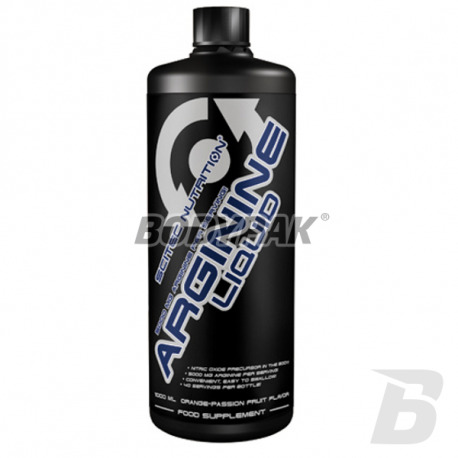 Arginine liquid comprises 5000 mg L-arginine portion in a solution of convenient, ready-to-use! Practitioners benefit from increased physical function and increased blood flow. More nutrients reach the muscle and the side effects associated with fatigue are removed faster and more efficiently resulting in faster regeneration and other benefits. Scitec Arginine Liquid can enhance the process of disappearance of micro-defects in muscle tissues and can also affect the production of insulin sensitivity. Our formula allows fast and efficient absorption. 1 serving approximately 30 minutes before training. Składniki: Woda, L-arginina, regulator kwasowości (Kwas cytrynowy), Fruktoza, koncentrat soku pomarańczowego lub koncentrat soku z marakui, substancja konserwująca (Sorbinian potasu), aromat (pomarańczowy, marakui), substancje słodzące (Acesulfam K, Cyklaminian sodu, Suklaroza, Sacharynian sodu). Mega pompa.. się zdziwiłem bo raczej zakładałem, że 1 porcja to będzie za mało.. jednak jakość, może czystość produktu sprawiła, że daje radę.. i do tego smakuje całkiem przyzwoicie.